Things can be so memorable. Every time I see these brooches, I always remembering my mother, as these brooches are my mother favorite ones. Here I share some of her collection. 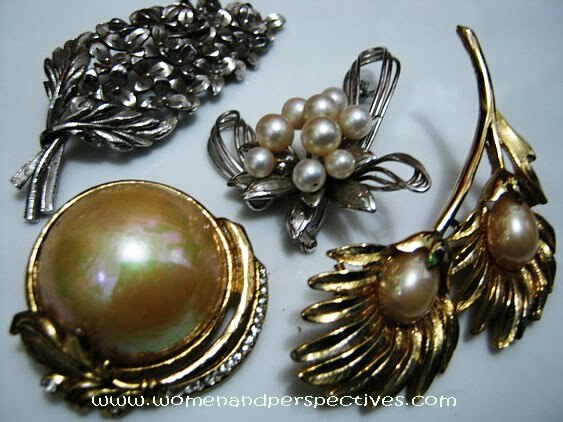 She loves big brooches like these. For her birthday gifts, I’ve ever given brooches several times. After my mother passed away, I seldom use her brooch as I prefer to wear a small and simple one. Though I seldom use it, I’ll still keep her brooches collection. It’s one of sweet remembrances of her.